Here's an amazing suspension you'll want to add to your show. You present a Sharpie pen and lay it onto the top of a full can of drink. You then lift the Sharpie upwards, and the can lifts as well! 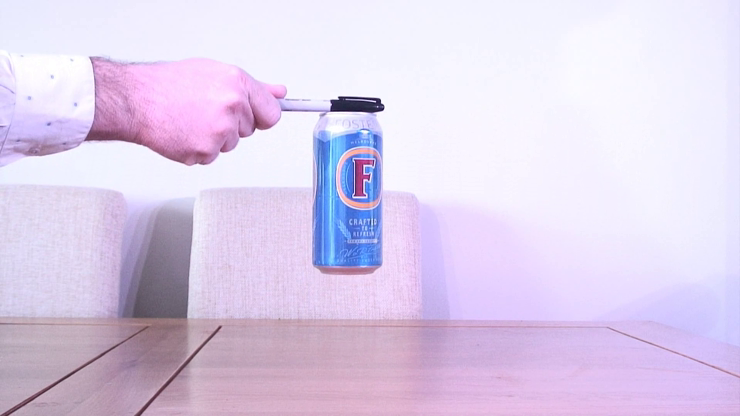 The can acts as though it's magnetized to the pen. Everything is then lowered onto your hand and the Sharpie releases itself from the can.